The ProLon Fasting Mimicking Diet is the only dietary program patented for promoting regeneration, longevity and healthspan. 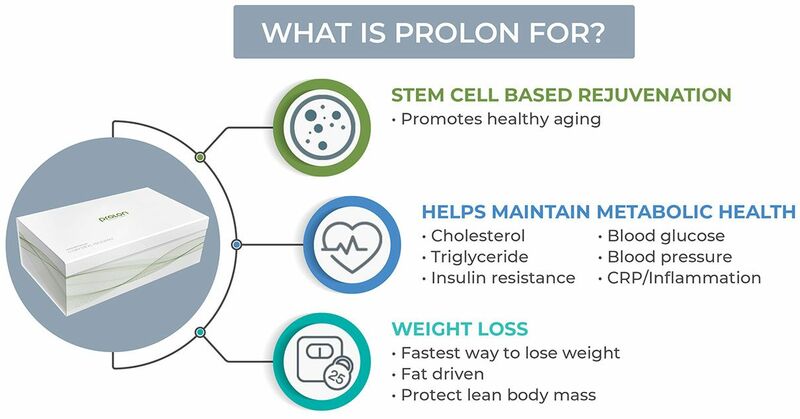 ProLon® is the first Fasting Mimicking Diet™ (FMD™) developed to provide the beneficial effects of fasting including stem cell-based rejuvenation, maintain healthy metabolic markers, and cause quick abdominal fat loss. 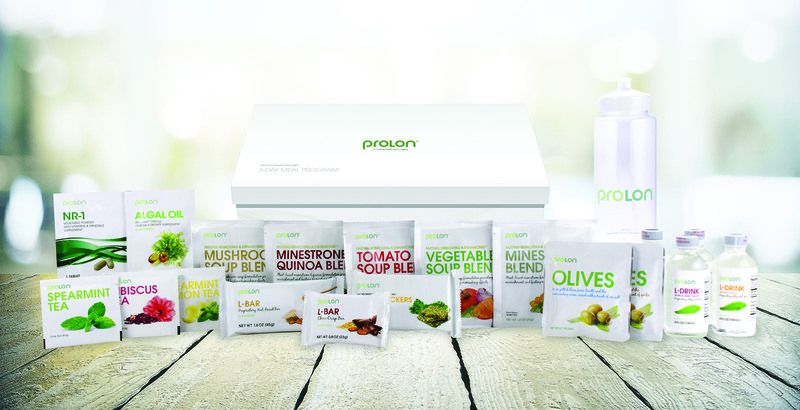 The fasting mimicking period is made safe and pleasant because ProLon® contains plant-based soups, bars, crackers, olives, drinks, and supplements in a proprietary 5-day dietary program. It is based on innovative research carried out at two of the world’s leading centers for biomedical and longevity research located at the University of Southern California (USC), the Longevity Institute and the Diabetes and Obesity Research Institute. A transient, major, and physiologically meaningful significant elevation of stem cell/regenerative markers was also observed. Weight loss came mostly from abdominal fat. Participants lost an average of 5 lbs. We hear from thousands of customers around the world who write in to tell us about their ProLon experience—and the impact it has had on their life. See stories that inspires us. Here are just a few of the things people frequently ask about ProLon. If you don’t see your question here, get in touch with us. How should the ProLon® Diet be taken? The diet should be taken for 5 consecutive days, after which the patient will transition for 1 day and then resume their normal diet. Instructions are provided in every carton. A specific combination of food is provided on each day for breakfast, lunch, dinner and snacks. All food provided on a specific day should be taken on that day only. While a meal missed can be made up at any time during the same day, there should be no carryover from one day to the next. The 5-day diet should be taken as often as is recommended by the healthcare professional. Should routine intake of supplements during the dieting period be stopped? As the ProLon® dietary program is designed to provide all of the supplements and nutrients needed, no additional multivitamins or supplements should be taken during the diet period; however, the options should be discussed with the supervising healthcare professional. How many ProLon® cycles can be recommended to a patient in a year? The ProLon clinical trials protocol included three consecutive cycles of ProLon (5-day only per month over three consecutive months). It is up to the practitioner to decide the best protocol that he or or she would like to use for each patient. Some HCPs reported that when the patient is obese with age related metabolic risk factors, they suggest the three cycle protocol and then check in with patient to re-assess and then decide to do another three cycles or a cycle every 2 or 3 months. If the patient is overweight but not obese with one or few metabolic factors, they recommend ProLon for three cycles and then once every 2-3 months or simply suggest it once every 2 or 3 months. If a consumer is not overweight and eats and exercises well, they typically suggest the product 2 to 3 times a year. Is there a ‘Transition Day’ diet for the patient after completing the ProLon® diet? If you are a consumer, click the button below to visit our consumer site.